Complete, up-to-date information about Latin America’s main sectors in one place. BNamericas identifies and lets you track business opportunites. BNamericas saves you significant time and resources. Find information, data and analysis to generate reports and understand the market environment. You get a complete outlook on your market’s political and economic risk by combining our solutions. 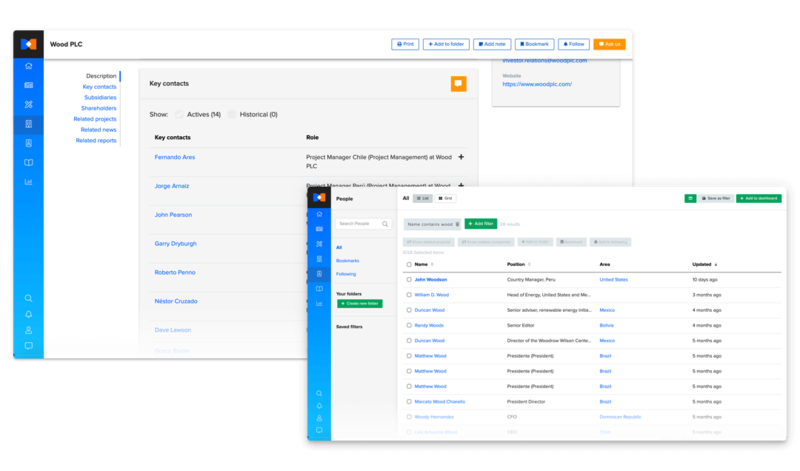 Each user in a subscription can personalize the platform to suit their needs: create custom-made dashboards, choose when to receive the information, and much more. How do we connect you with business opportunities? Connect with key people at companies, institutions and projects. You will get updates on their contact information and role. 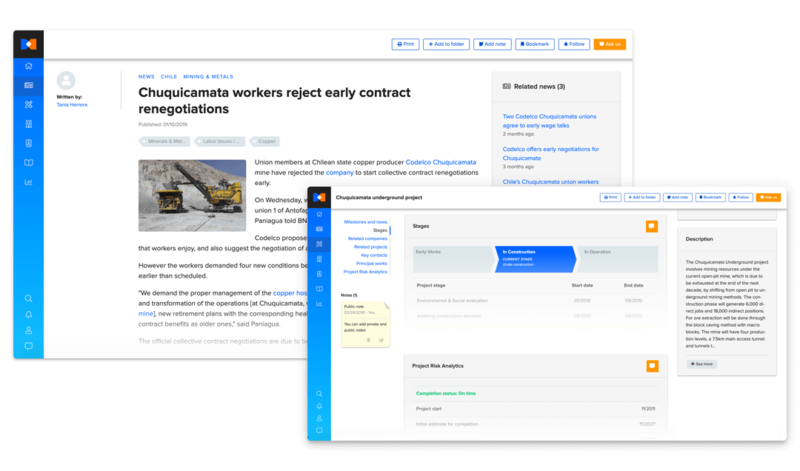 You can also track relevant projects and companies, with up-to-date profiles. Get an in-depth diagnosis of the region’s business landscape through special reports written by our on-the-ground journalists and analysts, who talk to the most brilliant minds in Latin America’s markets. Schedule your daily newsletter(s) and track any type of content to get real-time alerts on new developments. Find out what’s going on in the region’s projects and companies, build sales flows, plan accordingly and share what you’ve learned with your sales team. Each user has their needs. That’s why each account can be configured differently, from the content on the landing page to the daily newsletter.